A question of, "Who's to guard the guards themselves? 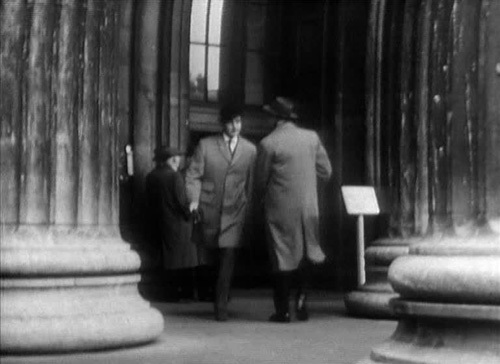 ", aye Steed? The final Dr King episode has a lot more going for it on paper than it’s able to pull off. 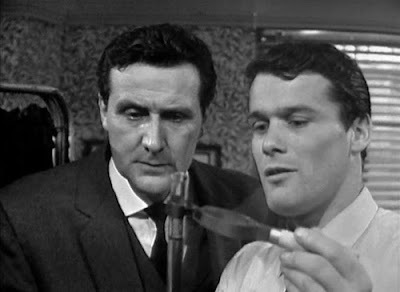 It has the potential to be something of a Tinker Tailor-esque affair, complete with four possible suspects for the informer (including Steed, “But then, I’m Caesar’s wife”), but it ends up rather static and disinterested. 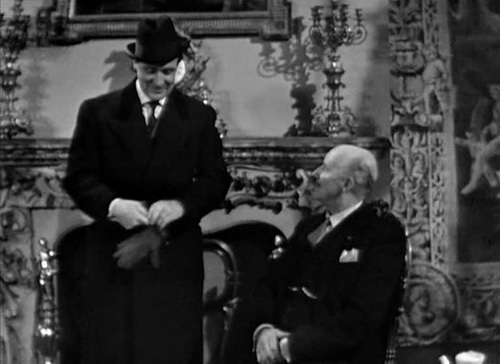 Still, King’s departure is properly foreshadowed and the supporting cast includes some strong performers. Steed is assigned to protect French UN negotiator Monsieur Roland (Carleton Hobbs), but is under suspicion himself from One Twelve (Arthur Hewlett of State of Decay, the old giffer who ends up on the Vervoids’ revolting compost heap in The Trial of a Time Lord and Blake’s 7’s The Keeper); we don’t see his usual boss One Ten, although he pops up in the next, first Cathy Gale episode). We eventually learn Harvey (Frank Gatliff, The Monster of Peladon and Blake’s 7’s The Harvest of Kairos as well as three more Avengers episodes) is dealing the secrets. His reason? He has a very lovely wife who lives expensively and well (Anne Godley). 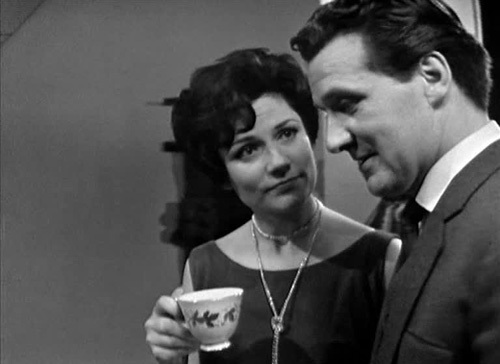 Steed: Just one of those “Pay me now, who do I shoot next?” sort of chaps. Dr King: Oh, you two should get along famously. Steed: That is unworthy of you. This one’s notable for a fair bit of London location filming. 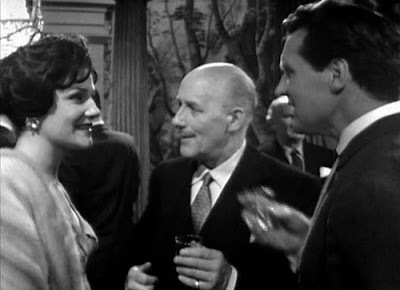 It also does a good job of building up Steed’s smooth-talking rep. Harvey comments of King “But you don’t have Steed’s sense of humour, do you?” which is undoubtedly the case, although King ironically gets his wittiest lines in this one (“You know, Steed, you’d be far better off with a pathologist”). 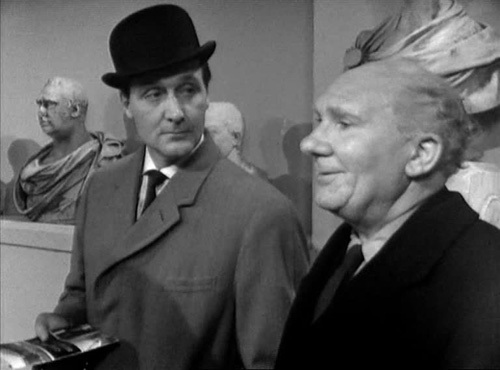 Steed responds, “That’s quite a pretty thought” to King’s suggestion of prescribing a bulletproof waistcoat on the National Health. And although King intervenes with a rugby tackle at a crucial moment, it turns out he means it when he tells Steed he’s “Just going to be a doctor”. 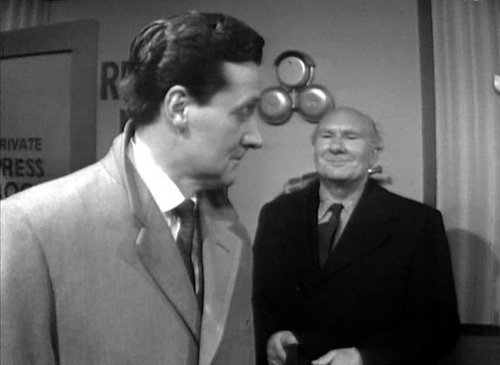 One Twelve evidently has Harvey in his sights from the off, since he makes a point of commenting on his attractive wife the first time he meets Steed (who is wonderfully and cheerfully lacking in deference towards his superiors), and later comments that he wanted Harvey to think Steed was the informer; appropriately, he gives Steed an approving smile of respect in the last scene (this has something of a Harry Palmer-Ross vibe, just without the class commentary undercurrent). 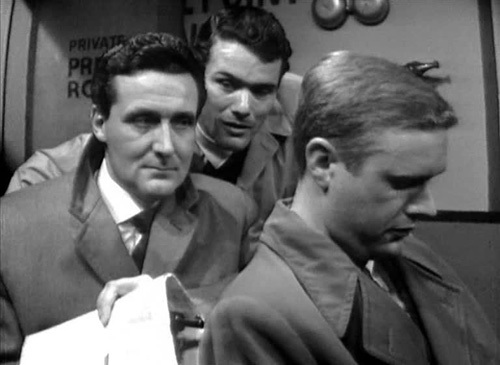 As is customary now Keel has left, Steed is granted the end heroics, poking a gun in the back of the would-be assassin at Roland’s climactic press conference, while King opts to take the bus home. 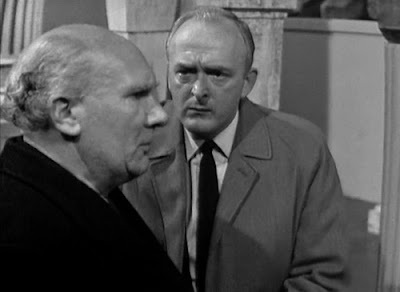 The material is there for a decent bout of intrigue, but The Sell Out falls short.